The Park City Real Estate market is a highly segmented market with micro-markets dividing product by type, location, price, age and amenities.  Whether you are looking for ski-in ski-out properties, golf properties, contemporary homes, new developments, Old Town properties for sale, full time or part time residences or popular communities where local Parkites live, we hope that our website’s community information will provide you with the insight you need to find your ideal full time or vacation home. Contact us anytime for more information about specific neighborhoods! 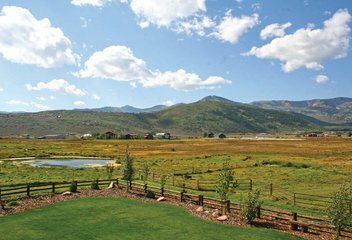 Located on the rolling hills to the north of Park City, Promontory is a ranch-styled private community with over 7,000 acres of terrain. While primarily known for its two signature championship golf courses, Promontory Ranch Club also features a pool, tennis courts, arcade games, 1950s diner, art studios, and a spa and fitness facility. 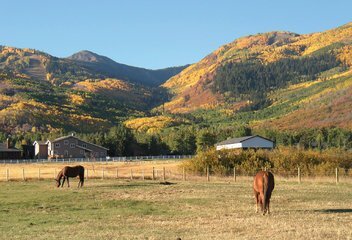 Beyond the club amenities, Promontory has a stateof- the-art equestrian center and miles of private trails perfect for biking, running and horseback riding. 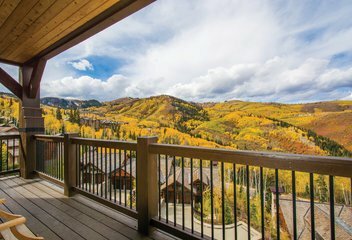 Homes within and adjacent to Park City’s Canyons Village area thrive off of the vitality of the lively base of the resort, which provides residents special access to free concerts, performance art acts, food carts, fine dining, and galleries. The neighborhood has a diverse range of real estate options, from affordable single-family homes to luxury condominiums. 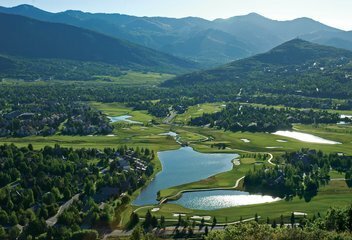 Under Vail Resorts® management, the area has entered into a new stage of evolution that includes a golf course and several developments. 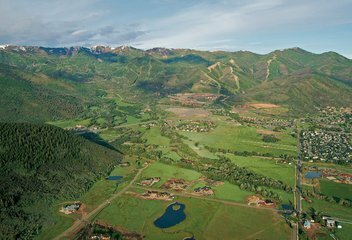 One of Park City’s premier residential neighborhoods, Park Meadows is an expansive residential zone that includes the communities adjacent to Park Meadows Country Club, Quarry Mountain and Round Valley. Park Meadows owners tend to be full-time residents. However, second-home owners are discovering that the neighborhood’s sweeping views, convenient location, and cohesive feel make it a tempting alternative to resort real estate. Empire Pass, the latest ski-in/ski-out development installment at Deer Valley® Resort, is comprised of sumptuous condominiums and homes that are among the finest properties available in Deer Valley® Resort. 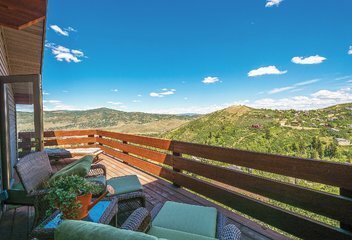 Homes blend into the surrounding scenery and enjoy protected views of Park City and its celebrated mountains. Residents of Empire Pass have the additional opportunity to join the Talisker Club, which comes with private access to the Tower Club and the Tuhaye Golf Course. Old Town includes the land abutting Park City Mountain’s boundaries and extends to the top of Main Street. Old Town properties are going through an intense period of evolution. With the new Park City mall, developers have refocused on the historic district and are bringing modern ideas and designs to Old Town homes. The neighborhood contains unique lofts within walking distance to both world-class skiing and urban cultural events. Ideal for culture vultures, and mountain-loving urbanites. 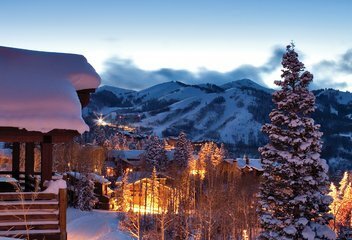 Upper Deer Valley® Resort extends from Silver Lake Village and its shops, to the top of the Park City ridge line. Silver Lake Village is its own independent mountain township made-up of first rate restaurants, a retail community, and McHenry’s famous Ski Beach. Scattered throughout Upper Deer Valley® Resort are some of the most extravagant resort homes in the world. While the area has a reputation of casual opulence, the resort and its community are welcoming to all. Prospector is known for its vibrant energy. Families and individuals looking for convenient and competitively priced housing options should consider the neighborhood. Located within walking distance from popular local eateries and the Park City school system. Commuters appreciate the area’s quick access to Highway 40. In the last few years, the neighborhood has welcomed many design-forward updates and has a new vitality, in part due to its diverse and energetic residents. 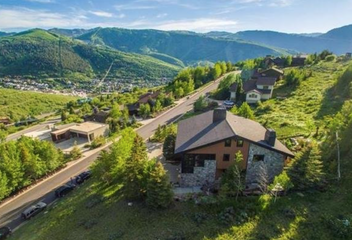 Situated on the green slopes just to the east of the iconic white McPolin Barn, the communities of Thaynes Canyon and Aspen Springs enjoy enviable north-facing views and boast back door access to Park City Mountain and Iron Mountain. 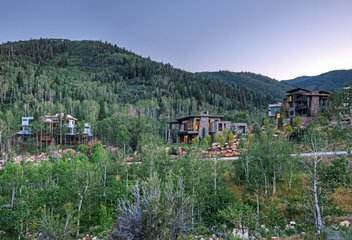 Aspen forests and mountain wilderness hug these neighborhoods, making area homes feel like true retreats. These neighborhoods are great options for buyers looking to be close to both culture and the outdoors.Limited availability of equestrian properties. Lower Deer Valley® Resort is the most conveniently located of all Deer Valley's sub-neighborhoods. Properties sit right next to Snow Park Lodge at the base of the resort and are just an easy one mile drive to Old Town. Residents can watch summer concerts from their porch, or simply walk out the door onto the Silver Lake Express chairlift. 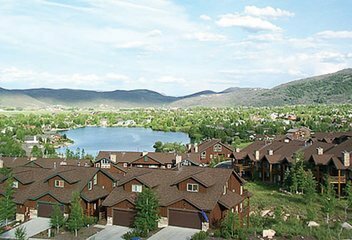 Lower Deer Valley® Resort has its own internal energy and enjoys easy access to trails, neighborhood ponds, parks and recreation centers. 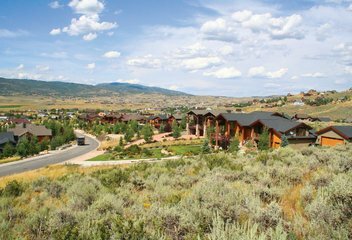 The 600-acre Deer Crest community enjoys a lofty perch on one of Deer Valley® Resorts highest ridges and cascades down the slopes overlooking the Jordanelle Reservoir. In addition to 360 degree views of the Wasatch and Uinta Ranges, this luxury gated community boasts on-slope ski access and even private runs for residents. As part of Deer Valley® Resort’s real estate options, residents have next-door access to the resort’s award-winning restaurants, retail options, and cultural offerings. 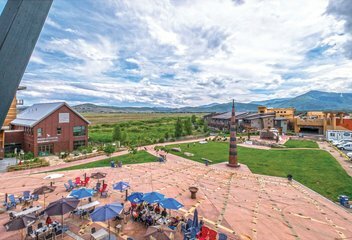 Kimball Junction is a vivacious mixed-use community that has become a town unto itself. Buyers can choose from among homes with fresh designs and cosmopolitan condominiums whose front doors open onto pedestrian-friendly streets lined with restaurants, locally owned retail shops, movie theaters, and athletic facilities. Unsurprisingly, given its array of fun offerings, the area has become a favorite stomping ground for locals and visitors alike. 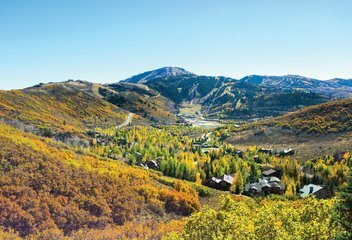 Located between the vital commercial centers of Park City’s Canyons Village and Kimball Junction, Silver Springs has a positive reputation for being the ideal laid-back community. The neighborhood has a high concentration of parks, ponds, and recreational trails that make it attractive for dog-owners, families, and anyone looking to experience the Park City lifestyle to the fullest extent. Affordable and advantageously located homes make this a very popular area for first-time buyers. Old Ranch Road is characterized by its seemingly boundless horse fields and unimpeded mountain views. 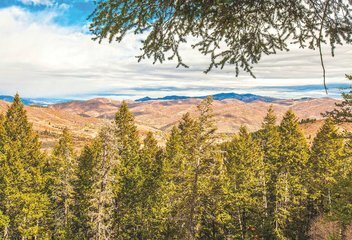 Land here tends to be expansive and reminiscent of Park City’s Old-West roots. Beyond the open landscape that gives the neighborhood its romantic feel, residents can walk, bike, or horseback ride on the extensive Round Valley trail system and have next-door access to Kimball Junction and its restaurants, amenities, and businesses. The Trailside community is centered on its namesake park and elementary school, which give the area its own personality. Local youth sports teams practice on the neighborhood fields next to the trail system, which have gently paved paths great for family bike rides. Residents tend to be full-time and are emotionally invested in their community. Trailside is one of Park City’s newer residential neighborhoods and continues to grow. Homes are modern and functional to fit the needs of its residents. 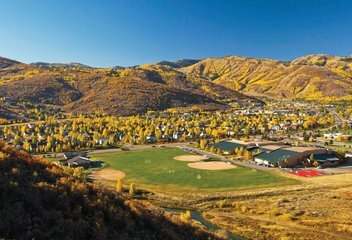 The idyllic community of Pinebrook is tucked into a forested canyon west of Park City and contains outdoorsy year-round residents. The neighborhood abounds with public and private trails, allowing residents prime recreational access. At the same time, Pinebrook is still proximate to the freeway, making the area a favorite among commuters. At the base of the development, a new commercial center provides residents with readily accessible dining and retail options. Few lots still available. 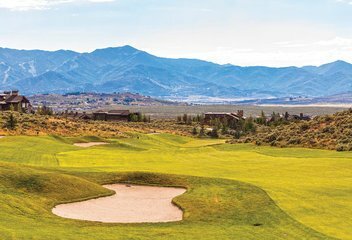 Fifteen minutes from Park City proper, Jeremy Ranch is an ideal neighborhood for Salt Lake commuters who also love golf and hiking. Boasting prized views with sunny south-facing exposures, Jeremy Ranch is a premier residential neighborhood perfectly situated between Salt Lake and Park City. Beyond its strategic location, Jeremy is a protected neighborhood where kids can comfortably ride their bikes along wide streets and play on the centrally located ball fields. Summit Park is one of Park City’s longtime local neighborhoods. Initially built around the Ecker Ski Jumping facility, this neighborhood is seamlessly integrated with its leafy surroundings. While residents enjoy the convenience of being next to I-80, houses are protected from outside noise and have out-the-door admittance to some of the best hiking and biking terrain available in the Wasatch. 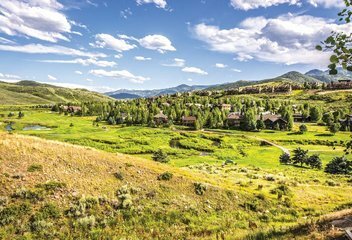 One of Park City’s premier golf communities, Glenwild is a gated residential area that was voted the best Utah-based development of its kind by Golf Digest. 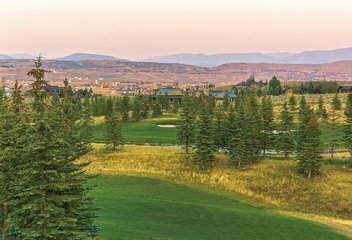 In addition to its emerald links, Glenwild features some of the area’s most luxurious homes and tremendous views of the Snyderville Basin and all three local ski areas. 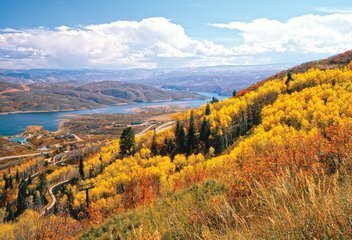 The nearby Silver Creek neighborhood is one of Park City’s most exciting up-and-coming areas and possesses prime horse real estate and wide open vistas. The Sun Peak and Bear Hollow planned communities nestled between Olympic Park and the Canyons Village, offer home buyers a wide range of single family homes, condominiums and town homes just 35 miles from Salt Lake International Airport and only a few minutes from Park City’s Historic Main Street. Enjoy easy access to world-class hiking and biking trails and a recreation center, exercise room, swimming pool and tennis court. 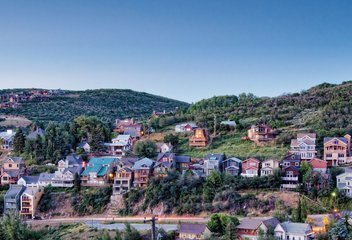 If you’d like to be minutes from Historic Main Street, Deer Valley and Park City Mountain Resort, then this neighborhood located in the hills overlooking Main Street, Lower Deer Valley and Prospector Square is the place for you. Known for upscale homes with breath-taking views and great sun exposure, with hiking and biking trails abound, this darling neighborhood is sought out by primary and secondary homeowners alike. 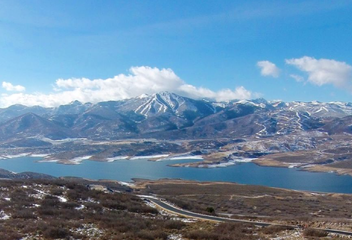 Situated just east of Park City and north of the Heber Valley, neighborhoods surrounding the Jordanelle Reservoir, including Hideout Canyon, Soaring Hawk, Tuhaye, Victory Ranch and developments abutting the Jordanelle State Park offer stunning views of Mount Timpanogos and Deer Valley Resort. With the Jordanelle State Park right in their back yard, residents enjoy some of the best golf, boating, hiking, mountain biking, camping, wake boarding, water skiing, standup paddle boarding and fishing.